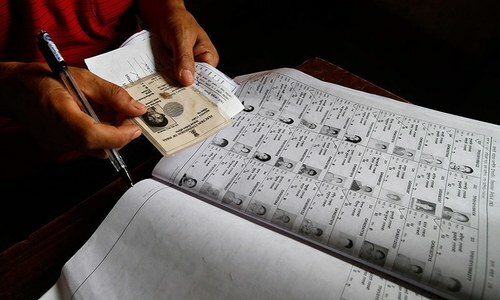 ISLAMABAD: With the scrutiny of nomination papers of thousands of candidates across the country, the second phase of the electoral process was completed on Tuesday. Nominations of a few prominent candidates — Pakistan Tehreek-i-Insaf chairman Imran Khan, former prime minister Shahid Khaqan Abbasi and former parliamentary leader of the Muttahida Qaumi Movement Dr Farooq Sattar — were rejected in some of their constituencies on various grounds. The papers of former president retired Gen Pervez Musharraf, who sought to contest NA-247 (Karachi) and NA-1 (Chitral) seats, were rejected in the light of the Supreme Court’s recent directions. However, the returning officers (ROs), who have been drawn from the judiciary, accepted nomination papers of most of the candidates. After the rejection of PTI chief’s papers on technical grounds in two constituencies, NA-95 (Mianwali) and NA-53 (Islamabad), Mr Khan is left with three constituencies — NA-35 (Bannu), NA-131 (Lahore) and NA-243 (Karachi) — to run for the general elections. The documents of former PM Abbasi, his covering candidate Sardar Mahtab Ahmed of the PML-N and head of her own faction of the PTI Ayesha Gulalai were also rejected for the hot seat of the federal capital of NA-53 during the second phase of scrutiny. The candidates whose nomination papers were rejected now have the opportunity to challenge the ROs’ decisions before the election tribunals, which the Election Commission of Pakistan (ECP) has already notified. Additional district and sessions judge Mohammad Adnan Khan rejected the nomination papers of the four candidates for NA-53, because they had not filled up the “Clause N” of the affidavit in which they were required to mention “contribution” to their respective constituencies during their previous tenure as lawmakers. The RO, however, accepted the nomination papers of many other candidates, including Dr Mohammad Amjad of the APML, Mian Mohammad Aslam of the MMA and Sibtul Haider Bukhari of the PPP, from the same constituency. The RO also dismissed the objection petitions against Mr Khan filed by Ms Gulalai and Abdul Wahab Baloch of the former chief justice-led Justice and Democratic Party-Pakistan since they were not registered voters in the said constituency. From NA-54 of Islamabad, the RO accepted the papers of 34 candidates including PML-N’s Anjum Aqeel Khan, PTI’s Asad Umar, MMA’s Mian Mohammad Aslam and PPP’s Raja Imran Ashraf. 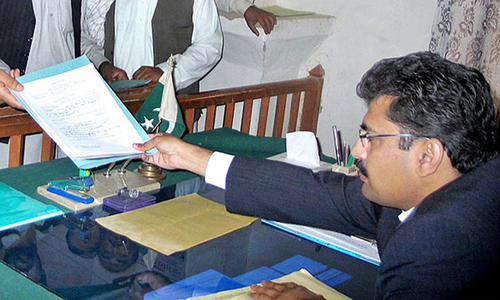 In Rawalpindi, the nomination papers of scores of candidates of different political parties including PPP’s Raja Pervaiz Ashraf, former interior minister Chaudhry Nisar Ali Khan, PTI’s Ghulam Sarwar Khan, retired Col Ajmal Sabir and PML-N’s Engineer Qamarul Islam and Mohammad Hanif Abbasi, AML chief Sheikh Rashid Ahmed, Malik Abrar Ahmed, Raza Ahmed Shah, Danyal Chaudhry and Amir Kiyani were accepted after scrutiny. Nomination papers of Chaudhry Nisar, Ghulam Sarwar Khan, PML-N candidate Engineer Qamarul Islam and independent candidate retired Col Ajmal Sabir were accepted for NA-59 seat. From NA-60 constituency, the nomination forms of PML-N’s Hanif Abbasi, Sheikh Rashid and MMA’s Raza Ahmed Shah were accepted. The ROs also accepted the nomination forms of PML-N’s Barrister Danial Chaudhry, Sheikh Rashid and others from NA-62. In Lahore, PML-N President Shahbaz Sharif, National Assembly Speaker Sardar Ayaz Sadiq and Maryam Nawaz Sharif are set to contest general elections after their nomination papers were accepted. Other candidates who were cleared included Hamza Shahbaz Sharif, Khawaja Saad Rafique and PTI’s Aleem Khan. Imran Khan will be facing Saad Rafique in NA-131, whereas Ayaz Sadiq will face Aleem Khan in NA-129. PML-N’s Hamza Shahbaz and PTI’s Mansha Sindhu will contest NA-124 seat. The ROs accepted the nomination papers of PPP chairman Bilawal Bhutto-Zardari from NA-246 and PTI’s Arif Alvi from NA-247. The nomination papers of PML-N President Shahbaz Sharif and Saleem Zia were accepted from two different constituencies of Karachi. From NA-249, the nomination papers of PTI’s Faisal Vada were accepted. In Jhang, Sheikh Akram’s nomination was rejected for concealing their assets, whereas Mohammad Ahmed Ludhyianvi faced the axe for concealing criminal cases against him. Those who passed the scrutiny for NA-114 included Makhdoom Faisal Saleh Hayat, Mehboob Sultan and Alish Iftikhar Baloch. PTI chief Imran Khan, PPP chairman Bilawal Bhutto-Zardari, PML (N) president Shahbaz Sharif, MMA head Maulana Fazlur Rehman, ANP president Asfandyar Wali Khan are among those leaders whose papers were accepted to contest Bannu, Swat and Malakand Division seats. The PTI chief will face Akram Khan Durrani in the Bannu constituency in the July 25 elections. Papers of PPP chairman Bilawal Bhutto-Zardari and PML-N president Shahbaz Sharif were cleared NA-8 (Malakand) and for NA-3 (Swat-II), respectively. The returning officers also accepted the nomination papers of ANP president Asfandyar Wali Khan from NA-24 (Charssada-II), Qaumi Watan Party chairman Aftab Ahmad Khan Sherpao and Jamaat-i-Islami chief Senator Sirajul Haq from NA-23 (Charsadda-I). Nomination papers of Jamiat Ulema-i-Islam (F) chief and MMA head Maulana Fazlur Rehman were accepted for NA-38 and NA-39 (Dera Ismail Khan). The documents of former deputy speaker NA and PPP leader Faisal Karim Kundi were also cleared from the NA-39 constituency. 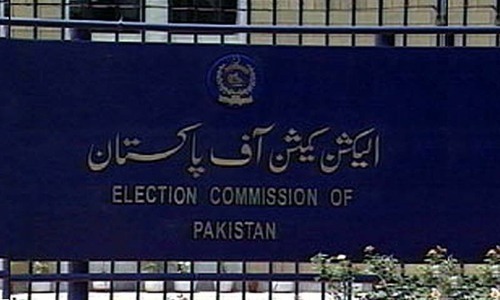 According to the revised election schedule issued by the ECP, the last date for filing appeals against acceptance or rejection of nomination papers by the ROs is June 22. The last date for decision on the appeals by tribunals is June 27. Revised lists of validly nominated candidates will be published on June 28, whereas the last date for withdrawal of candidature is June 29. The final list of contesting candidates is expected to be published on June 30. The whole process of accepting and rejecting nomination papers is riddled with inconsistencies,inaccuracies and controversy. Hence this is the root cause of the sham democracy in practice. In this day and age the information must be clearly available about individual ‘s assets and criminal records. As long as you keep allowing people with assets that exceed their available and legal sources of income you will continue to get undesirable and unsuitable candidates who have no respect for the rule of law. the nation or its people. These candidates will only work for their vested interests. Media please rise to the occasion and protect the national interests! These selections I mean elections are an insult to the spirit of free and fair elections. The nation should not participate in these elections till the entire electoral process is revised and scrutinized.